Laurel Stark née Lindsay has helped thousands of businesses get better results from their online marketing since she began her career as a web marketer in 2003. 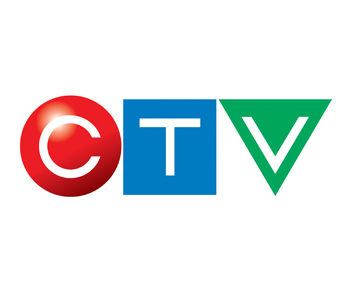 As a speaker, author and CEO of The New Media Group, she’s been featured on CNN, Entrepreneur.com, CTV and ShawTV. Writing a book is a common bucket list objective. If you have dreams of seeing your name on the spine of a physical book, you’re not alone. This past weekend I travelled from Victoria, BC Canada to Orlando, Florida USA to join 300 other attendees at a writers conference. My objective was to find out: exactly what does it take to get a book published by a major publishing house? 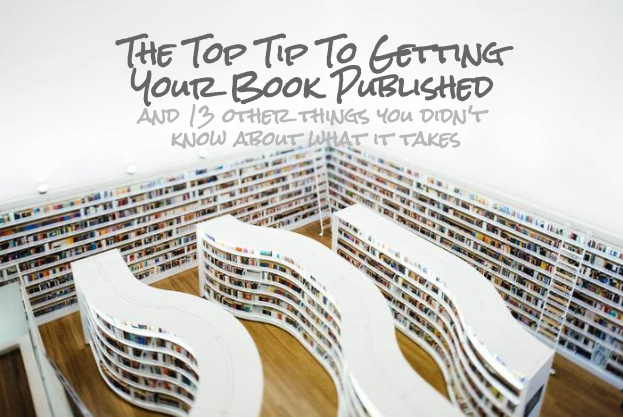 What I learned out is that having a really great idea, or even a magnificent finished book has very little to do with whether or not you get published. What I learned is not news to me. I certainly did not need to take three planes across North America to learn that it’s not so much the quality of the end product, but the quality of the business plan and ultimately sale potential that matter most. It is after all, what I preach loud and long to my small business owner and entrepreneur clients; if you’re in business, you’re in the business of selling. CEO/Publisher Reid Tracy of Hay House said it at least 15 times over the course of the two day conference. The most important deciding factor in whether or not your book gets published is the size of your platform. Your platform means your direct relationship with your community of fans and customers. Getting your physical book published and out in the world is very much dependent on the size of your Facebook and Instagram followers and your email list. Because of all that reading means to me personally, and the long tradition of storytelling dating back since people drew on cave walls, I guess I was a bit surprised to hear this news. I really love books. I’ve loved them since I was a kid. I can be found deeply inhaling the pages of fresh new and musty old books alike. Even though my clients call me things like social media guru (which makes me cringe, honestly), and I am more tech savvy than your average bear, I still prefer physical books to e readers or audio books. Surrounded by people of all ages, including a few senior citizens, many including me were a bit dismayed to learn: the publishing business is simply another business, and the players exist to make a profit. I GUESS I THOUGHT THERE WOULD BE MORE EMPHASIS ON WHETHER THE BOOK WAS LIKE, GOOD. And of course, it does, to an extent. But given the choice between two similar quality books, the author with the bigger platform wins. I sat through the online marketing portion of the conference with a wry smile on my face. Have a mobile friendly, search optimized website with clear calls to action. Have a very clear “elevator pitch” ; It should be very clear what problem you solve. Beyond developing your online platform, here are 10 other things I did not know about getting your book published. It’s easier to get non-fiction published and sold than fiction. Unless you have a series, in which case that is more saleable. You need to submit a book proposal to get considered. A document that takes most people two months to create. You are well advised to get an actual professional editor to help you with your proposal. You can get a really good one for around $4000 USD. You may need an agent to help you submit the proposal to publishers (and get it read), but you probably don’t need a publicist. You’re advised to promote yourself. The book you write and the one you publish are likely two very different books. It takes at least a year, more often two, to go from proposal acceptance to holding the book in your hand. Traditional publishing exists because getting your book in stores used to be the only way to sell your book, and publishers were the only ones who could get your book in stores. The reasons getting published is an attractive idea is because your publisher takes on some of the risk, and helps you with getting the book out in the world. Then it’s your job to sell it. Your publisher will provide you with an advance against future royalties ( about $3-$5 a book ) and provide you with an editor who will help you personally as well as the book. Being a published author will not make you any money. I was told this repeatedly by some of the authors at the conference. They do coaching, speaking, retreats and all kinds of other things to make money. There are two other ways to get published beyond going the traditional publisher route. Depending on your skills, budget and the amount of time you have, you may want more or less support. Upload your word doc and graphic through amazon and boom – you’re a published author! Whether it will sell is another story. There are a few places, that for a fee, can provide fee for service editors, cover designers and book marketing people. They can also help you with printing and distribution. Do you have any questions about publishing your book, or building your author platform? Email me – la@laurelannestark.com and I’m happy to answer your questions and share what I learned. Struggling to build your platform? Learn how to succeed at social media marketing in just 17 minutes a day. 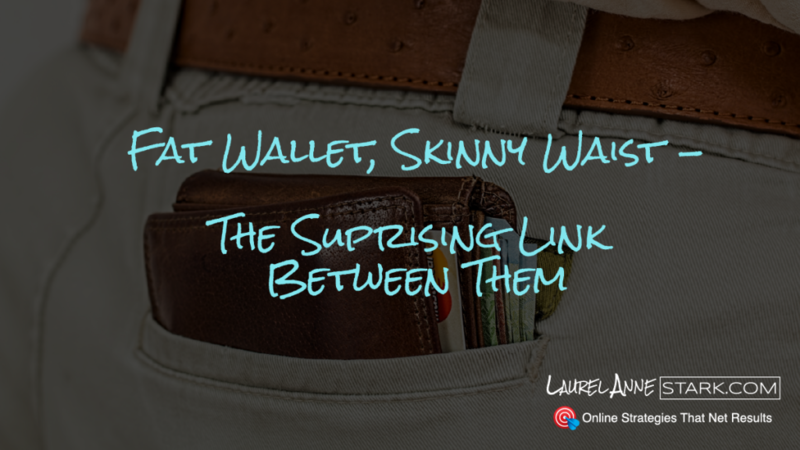 Did you know there is a really surprising link between your wallet and your waistline? No, I’m not talking about the scientific correlation between poverty and obesity , but prosperity and fitness. The idea has been proven by science. No matter what your objectives, whether it’s to improve your fitness or increase your earnings, the strategy to achieving it is the same. So, you have some objectives. There’s a difference between where you are and where you want to be. The way to get there in my experience whether it is your waistline or it’s your wallet is to figure out what your objective is. Figure out what’s realistic, and make it a smart goal. Now that you’ve got your smart goal, it’s time to create a plan. In the case of your waistline, you probably want to eat right and go work out. Then, you want to look at how often am you’re going to be doing these things. The key here is the application of consistent effort. It’s focus and consistency. If you want to get more leads or if you want to get more revenue or if you want to get more traffic to your website – whatever the case is – if that’s your objective, then you need to create a plan. Then, more importantly you need to execute consistently. You need to do certain things every single day, certain things every single week, and certain things every single month. You need to just keep doing it until you hit your goal. Because if you don’t apply the effort consistently and with focus, you’re not going to get anywhere. If you just go to the gym once every six weeks you’re not going to see any difference. If you change your approach and you don’t stick to your plan in marketing, you’re not going to see results either. It’s the application of the plan. It takes some time to see results. Usually, it’s the 80/20 rule, 80% of effort for 20% of the results. That applies here as well with your online marketing. What I see too often is people who are not committed to writing out the course. You need to create your plan, and then write it out for at least three months, and then measure your results, and then tweak. Don’t change midcourse; otherwise, you’re not going to see the results. Florie Varga is the founder of Affinity Life and Family Coaching. She is a certified life & family coach that helps good people turn lemons into lemonade. Specializing in parent coaching, Florie supports parents survive and thrive during the transition into the teen years. Florie needed to get her website up and running and start marketing herself online. She’d been working with a branding agency and had gone through numerous iterations of her website text and the website map – but she just wasn’t happy with the end result. One of the main problems was that she didn’t have a clear direction for her business. After three or four rounds of writing and rewriting her website text, she was feeling unclear and no closer to her goal. What Florie was really good at, really enjoyed and what was the most profitable aspect of her business – what services to offer and prioritize. Where she wanted her business to go and how she wanted to grow – her objectives and business direction. What the marketplace and demand looked like – who her competitors and customers were, and where there was a gap between customer demand and services offered. Who her ideal customers were, what they were worried about, what they wanted and hoped for, and the types of things they said to her when they were describing their situation. Where were her customers online – and how to get in front of them. How to position Affinity Coaching as a business that stood out from the competition and become the logical choice for her ideal client. One of things that kept popping up is that Florie knew so much about her industry, her process and her tools, she wanted to share so much of it in her website text. Instead of emphasizing things from Florie’s perspective, meeting the client where they are – using their language, pain points and hopes and dreams. From there, we created a website and online brand together that Florie can be proud of. What the website map looked like, what pages we would need and which ones could wait. How to lay out a lot of text in a way that was easy to digest. How to build consumer trust in Affinity, despite the fact it’s a relatively new business. Captures interested party’s contact information. In addition, Florie has the clarity, confidence and a structured online marketing plan to continue to market herself online in a way that works to attract clients. “With Laurel’s commitment and amazing knowledge and skills, I transformed not only my website but the whole marketing approach to my business. Laurel brought a well-defined step by step strategy for shifting my business focus to the client’s need over a focus on the services offered. As an end product, I have a unique, dynamic and very client centered website. More than this amazing deliverable, however, Laurel’s professional know-how and steadfast focus encouraged a transformation and evolution in my thinking about the purpose, reason and value of my professional services to my clients. This was a wonderful and unexpected pay-off for me as I establish this new business. One that I envision would have taken a long time to realize without Laurel’s guidance. 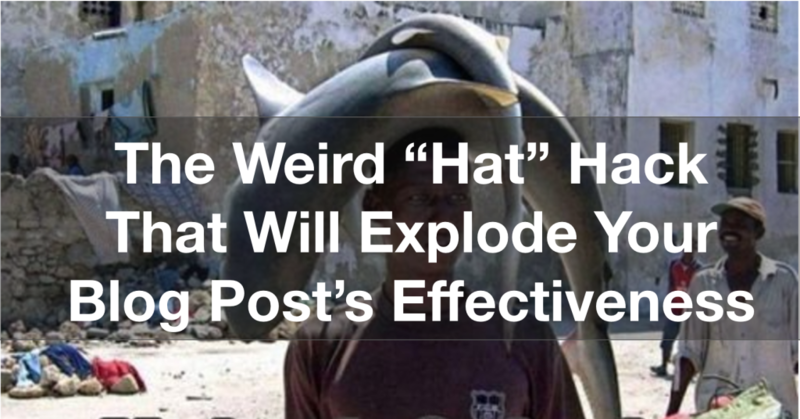 The Weird “Hat” Hack That Will Explode Your Blog Post’s Effectiveness. All those hats can get heavy! Small business owners, on any given day, may find themselves fulfilling duties ranging from CEO to janitor. We wear a lot of “hats”. And while you’re working your hats off, you may have noticed there aren’t that many folks around you doing the same. While it may be tempting to demand 5 times more effectiveness from the intern, drivers on your commute and your local barista, it’s not realistic. 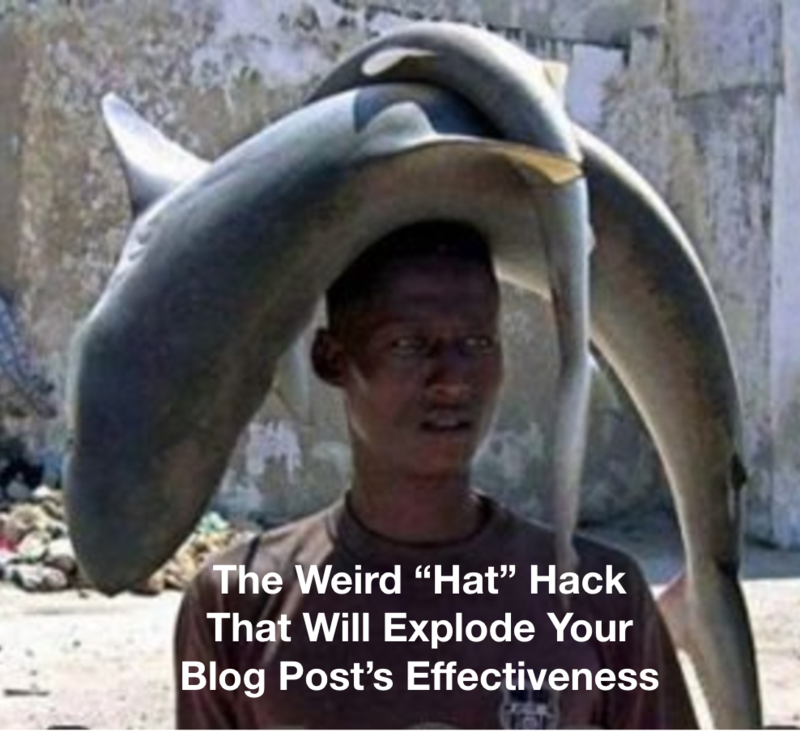 The good news is, I’m sharing with you what I call The Hat Hack, which will make your blog post (almost) as an effective multitasker as you are. You’re probably letting your blog posts off the hook way too easily. Whether it’s a newsletter, blog post or social media post, you know you need to do this kind of online marketing work in order to stay competitive and effectively market yourself online. And once you’ve completed your blog post, typically speaking we just hit publish, feel the relief for a minute and go back to our busy lives. I’m here to tell you, if you’re doing that you’re making a mistake and missing out on an opportunity! Each piece of content you create should be repurposed so you have five different online marketing assets with, count em, a total of 15 significant benefits and results. Once you’ve completed your blog post, you’ve got the first piece of content done – woohoo! If well written, your blog post should help establish you as a thought leader, help prospective clients know, like and trust you, help you get better ranking on search engines like Google, and keep your website updated. Four major benefits from one web asset! As the MOST effective online marketing tool, think about summarizing your blog post in a short video. You can then post thevideo to YouTube, upload to Facebook and share on your website. Videos are effective because they help audiences remember you and trust you, they’re also more likely to share the video, spend more time on your website and buy from you. Canadians prefer to receive marketing materials via email newsletter and it’s a great way to stay top-of-mind with associates and clients. That’s two more benefits – totalling 11. A good blog post should grab attention with a creative headline and keep attention by providing information people can use, or value in some way. If your blog post fulfils these these criteria than it should get plenty of shares and comments on social media. A well written and creative blog post can get more free exposure on social media than a paid ad. Additionally, every share, comment and like acts as a form of social proof, or implicit endorsement. If my numbers are right that’s 13 benefits – from just one idea. In the age of instagram, a visual representation of your blog post is all but a requirement. Create or source and image you can use as the header for your post, and then it gives you another online asset to share on image-only social sites. A picture is, after all, worth a thousand words and can help folks remember your content. Additionally, there are many documented cases of consumers purchasing items after they’ve favorited it on Pinterest – another image heavy social media site. I’ve shown you exactly how one blog post can become 5 online assets giving you 15 solid benefits. What do you think of the “hat hack”? Do you think you’ll use it? Share in the comments below. Mid-June 2017, my contact in the marketing department was due to present a cohesive, easy to understand and implement online marketing strategy to the entire team. Together over the course of two months, we worked to help my contact in the marketing team craft an online marketing strategy that the company could easily implement internally. Suits By Curtis Eliot is an up and coming, force to be reckoned with in the men’s fashion world. Heralding from Edmonton Alberta, with a second retail location in Calgary AB, Suits by Curtis Eliot has garnered international attention, highlighted by their invitation to New York Fashion Week. Suits By Curtis Eliot is a custom suit designer, tailored for the modern gentlemen. Their clients include such pro sports celebrities as the Gretsky family. From professional NHL and NFL players, to leaders in their community, to financial, sales and legal professionals, SBCE provides perfectly tailored, completely custom suits at extremely competitive pricing. SBCE experienced a huge degree of success early into their company history. The quick growth had them focused on providing their clients the best possible experience, instead of their internal processes. In terms of marketing, they had great success on social media in terms of likes and followers, but they weren’t totally confident their efforts on social media were effectively driving in store sales. They knew they weren’t doing the best job with search engine optimization (getting on google) or following up with their clients via email. They knew they was room to better leverage their multiple appearances in the news media and they weren’t totally sure how to accomplish all of these goals in a way that wouldn’t take up all their time. Founder, Sean Farmer, had his assistant reach out to me as she’d seen me present on the topic “Socializing Your Sales Funnel: Converting Fans and Followers To Paying Customers” and was impressed with the practical nature of the information I presented. I also worked with them to create payment terms that worked for their organization, facilitating their ability to get a grant to pay the fees I charge. 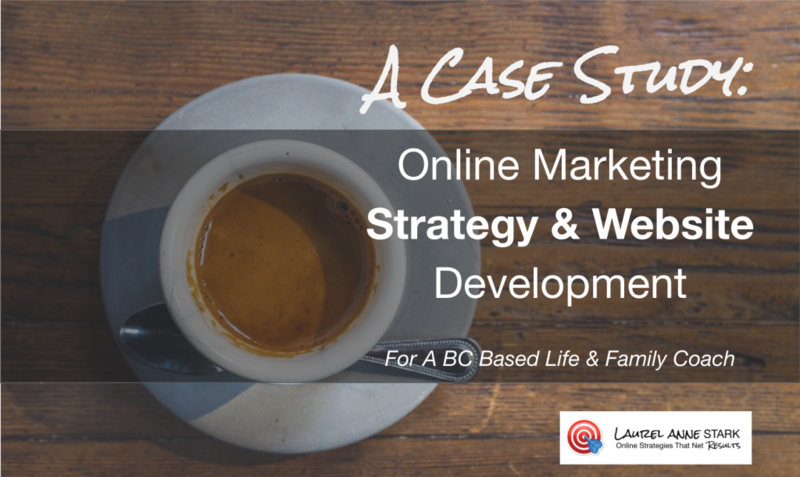 What we did together: Develop an online marketing strategy that could be used. We scheduled 8 phone calls over the course of two months. 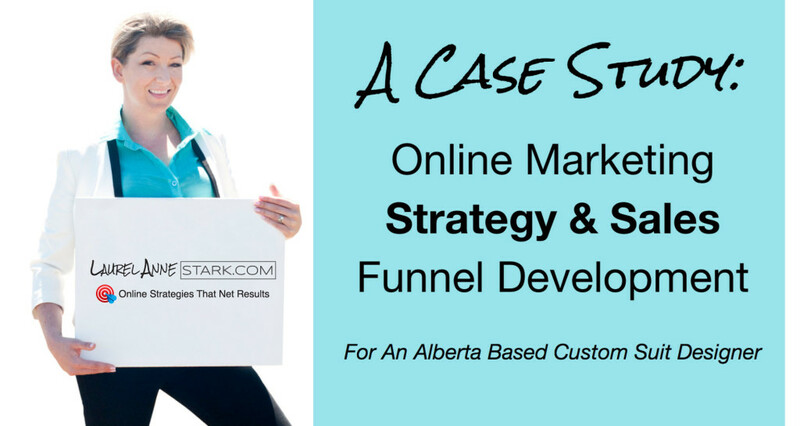 In those calls we worked through my proven system for developing an online marketing strategy. Together we got clear on the business objectives, what was and was not working, how best to and achieve the goals. Then, we actually built an online sales funnel together: emails, sales pages, newsletter sign-up offers – you name it!. Marketing staff that were confident, clear and trained on exactly what to do, when, in order to drive sales from the internet and measure each and every activity for effectiveness. Staff that had dramatically increased their knowledge, skills and confidence in implementing day-to-day online marketing tactics. A 20+ page online marketing strategy was created that could be used as the basis for the presentation and aid in staff training efforts going forward. A checklist that included specific-to-the business tasks to be performed each day, week and month in order to see reliable results. Clarity on the SBCE ideal clients – who the most profitable, enjoyable clients were and how to attract more of them using online tools. What the current sales process looked like – what was working and what wasn’t- and what components should be duplicated and leveraged online. What the current online marketing efforts looked like – and how to design a system (from scratch) for the entire year that doesn’t take all day to execute. An easy to follow, clear checklist of the specific actions to take online to generate additional revenue. An automated online selling system: including the 2 most important website pages that sell for you 24/7. The social media and email list building strategy for the entire year. Integrated online assets: website, email, social, video, media, blogging, search engine optimization so every piece of the strategy works that much harder to make money. Exactly what steps to take each day, week and month to propel your business forward – and how to succeed on social media in just 17 minutes a day. Would SBCE recommend working with Laurel Anne Stark to create and develop an online marketing strategy and sales funnel? Click here to learn more about working with me to create an online marketing strategy and sales funnel. 5 signs you don’t need an online marketing strategy. An online marketing strategy can be described a detailed written plan that explains exactly how you’ll market yourself and your business on the internet. The development of an online marketing strategy can call for a significant investment of both time and money. Before you spend your time and money, you may want to consider the following points to find out if you really need an online marketing strategy. Online marketing is an umbrella term used to describe online tools that can be used for the purposes of marketing a person or business. Facebook ads, email broadcasts, getting on google and your website are all online marketing tools. These are by no means an exhaustive list of online marketing tools, though. In fact, the world of online marketing changes almost daily. New tools are constantly emerging, old tools dissolving and familiar behemoths changing their functionality or design almost entirely overnight. Why do businesses market themselves online? Consumers are savvy creatures. You know, you’re one of them! In response to being inundated with advertising, we’ve adapted. We have spam filters, Netflix subscriptions and caller ID’s to help us avoid being sold to. Being in business, it pays to have a presence where your future customers are, so it makes sense to invest in a presence on Facebook, Google, YouTube and on other online marketing tools like your website. When is developing an online marketing strategy a waste of time? There are several scenarios when developing an online marketing strategy isn’t a good idea. #1 – The first sign you don’t need an online marketing strategy. The first is if you or the majority stakeholders in your business are of the opinion the internet isn’t a huge opportunity for businesses and business people alike. This is a reality for some people. Most commonly those who are just about to retire, those who don’t have cell phones and those who are generally resistant to change. Another sign you shouldn’t invest in an online marketing strategy is when what you’re already doing is working well really well for your business, and for you personally. Some businesses reliably experience an influx of new customers and sales from the internet. These leads and sales are willing to pay for what’s being sold and turn a tidy profit. Sometimes this result can happen fairly easily and naturally, especially if the business owner is really in touch with their customers, where their customers hang out online and when they have an interest in learning online marketing. #3 – The third sign you don’t need an online marketing strategy. You’re measuring your results, you know what works, what doesn’t and what tactics have the best return on investment. Generating results and feeling confident in your abilities add up to an ideal situation, one where you likely don’t need any further support. If you don’t find yourself in any of these three situations, it may be worth additional exploration to find out for certain whether or not an online marketing strategy will deliver value for your organization. You may find you need an online marketing strategy, but you’re not able to allocate the resources. When is developing an online marketing strategy a good idea? The following symptoms usually indicate when it may be a good idea to invest in an online marketing strategy. You’ve been successful with your online marketing efforts to date. Your business is making money, but you’re not feeling very confident you’re going about your online marketing the right, best or most effective way. You may be wondering if you’re missing something. You may be worrying about whether you should have a presence on the latest social media site, or if it’s a waste of time. Any leads or sales that you’re getting from the internet may be fairly sporadic, so it’s not a very reliable source of leads. You could have a very successful offline business, have an online marketing budget and believe online marketing can generate opportunities for you. But everything you’ve tried is a colossal waste of time and money. You may be noticing that your competitors appear to be doing a little bit better than you are. Whether it’s they are ranking better than you are on Google or their social media is getting more engagement or whether you’ve just heard through the grapevine that they’re doing better than you are financially. You may want to delegate some of your online marketing responsibilities but you’re having difficulties doing so, because you don’t really know what to say to the person you’re delegating to. If you’re looking to expand or pivot into a different market, and you want to use the internet to drive leads, it makes sense to look at developing an online marketing strategy. What kind of results can I expect from a strategy? According to the Business Development Bank of Canada small business that have an online marketing strategy and are actually executing it can see revenues up to 22% higher than their competitors. Obviously 22% more revenue is a significant increase in funds. That may be just the right incentive to invest in a strategy. Why is a strategy that much more effective? Without an online marketing strategy, typically anything that gets done in the area of online marketing is sporadic or reactive. It’s what we in the business call “spray and pray”. What this means is that you’re out there testing everything out publicly. Remember the internet never forgets, so being reactive and inconsistent can compromise your brand and erode the trust you’re trying to build with your audience. Instead of building on the solid blocks of a foundation, each tactic or effort is acting individually instead of in concert where you can expect a compound effect. Obviously I am biased, but truly and in the long term an online marketing strategy is much more effective for resource allocation if you’re at all invested in marketing your business online. An online marketing strategy can save you time, save you money and most importantly it can going to keep those sales coming in and keep those profit margins high. If you DON’T feel overwhelmed by marketing your business online marketing – you may be doing it wrong. Let me be the first to admit it, small business owners like myself already have towering to-do lists. Many of us have deadlines that would send your average worker bee into straight up panic mode. Add in a huge amount of information about a constantly changing set of circumstances that is the world of online marketing, and it’s pretty standard to feel overwhelmed! People are surprised to hear me say this. I get called a social media guru pretty regularly and I guess people think that I am calm, cool and collected and perfectly organized when it comes to my online marketing. The truth is, I’m not at all. One of my favorite personal development truths is that if you can’t change the person, change the environment, and so that’s what I’ve done. So, walk and talk with me! Join me and Moe as we walk in the park and I’ll share my system with you. If you’re in business for yourself, you are definitely in the business of marketing yourself. If you don’t have clients and you don’t have sales, you don’t really have a business, do you? So, your online marketing has to be a priority to ensure your sales funnel and pipeline stay full! The first thing I do is get really, really clear on my strategy. What is it that I’m actually doing that is going to drive my business forward? What specific actions will translate into more credibility, exposure and working with the clients that I want to work with. I also want more profit so I have enough time to get outside and enjoy the sunshine every once in awhile, you know…Because it’s all about the life balance and I want to create a life and a business that works for me, not the other way around. what the most effective way for me to spend my marketing time and dollars are. Do you pencil yourself into your own calendar? Once I’m clear on my strategic objectives, the second thing to do is then actually make time for working on and executing these objectives. Of course, that’s much easier said than done although the tactic is simple. I basically have to book off time to work on my marketing in my calendar and I have to stick to the time slots I’ve dedicated to this. I find that if I don’t make myself accountable to another person then I will not actually execute all the marketing stuff that I promised myself I would do. So, I have a weekly accountability call with my partner, Wendy, and every week I tell her what I did last week that I said I was going to and what I’m going to do this week and she does the same with me. I feel like a schmuck if I don’t do the things that I said I was going to do. So I use that to my advantage. But you know what? It works like a charm because I don’t want to let Wendy down and it makes me do the things that I said that I was going to do. Those are my top tactics for getting clear on the right action, making the time to do the work and motivating myself to get it done. I’ll need a snack with that. Believe it or not, I have trouble writing blog posts and filming the videos I do. I am a procrastinator, and even when I have the time blocked off in my calendar, I still find it difficult to get started. What I do in this situation is break my tasks and timing up into little chunks, like a half hour at a time. I give myself a little break after each chunk of time, to have a snack or a coffee or go outside and I give myself a pat on the back once I’ve done it as well. Because I find 80% of the effort is getting into the right headspace to get my online marketing tasks done, I want to get as much done once I am there as possible. When it comes to videos and blog posts I typically will do 4-5 at once, all in one day. I get my equipment set up, I’m in the zone and I can be really, really productive.That’s just what works for me. I hope you found this helpful! If you want more online marketing tips, check out my website at www.laurelannestark.com and don’t forget to like, comment and share this video. I look forward to hearing your thoughts on making time for your own marketing, please weigh in below!. Video is the most powerful tool you can use to generate sales from your online marketing efforts. When it comes to getting results from online marketing, my favorite tools are the ones that consistently show strong performance metrics in more than one area and video certainly does! The top five reasons to start using video to market your business online. People tend to know, like and trust you faster if you are using videos instead of just text to communicate. The reason for this is that 99% of our communication is nonverbal. Viewers will get a pretty good idea of who you are and if they will like and trust you based solely on body language. Videos make you more memorable. Viewers are much more likely to remember you if they’ve seen you on video, than read a bunch of text. That in itself is a victory when there is so much online competing for your customers attention! People are more likely to think that you are an expert if they’ve seen you on video. Video not only boosts trust, but credibility as well. Viewers are more likely to share videos then they would just text. Even though the reasons to start using video are powerful and plentiful, many DIY marketers still aren’t using it. Besides the obvious not wanting to look terrible on camera, there are also several logistical bstacles to getting started on video. The most common question I hear is, what kind of equipment do I need? I went on Facebook live last week to address the equipment question by taking you through my two setups, for a startup and intermediate budget. One of the comments I got live on Facebook, was that maybe lighting or equipment wasn’t really required at all. I’ve filmed many videos on an iphone in my car. Even one actually driving, where I share even more video marketing tips: I don’t do this anymore, promise. I also film against a white wall. The total cost, excluding my time, is about $200 for the light. I am really happy with my semi-pro setup. The level of control and quality it gives me is perfect for my needs. That being said, pro videos aren’t something you should rule out if you’re looking to skip the techie stuff and get on with your day. In summary, there are definitely options for every budget. I’d love your feedback – are you using video ? If you aren’t yet, do you think you will? And if you’re not, are there any tips you’d like to add? 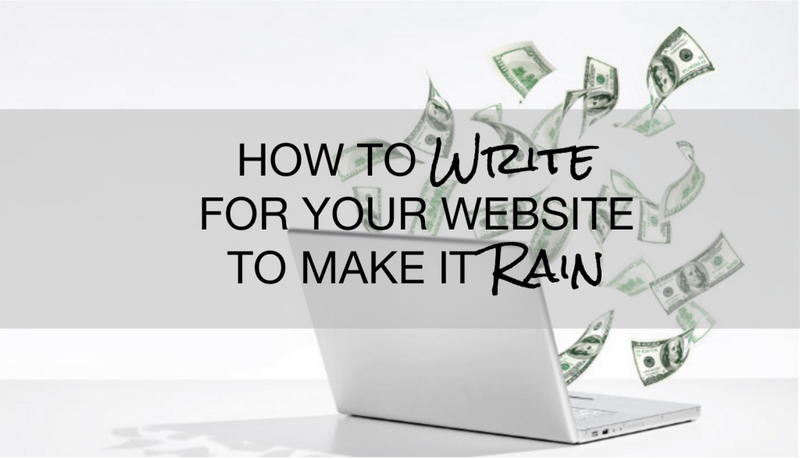 Whether you’re launching a brand-new website or revamping an existing one, the writing on your website can be the difference between a website that rains (revenue) and one that doesn’t. The most common mistake business owners make is the failure to answer one simple question for your audience. Failing to answer this one question means your future customers will leave your website and move on to your competitor’s websites. This is the silent question every website visitor is asking when they land on your website. If you don’t answer your visitor’s questions, relate to their situation, intrigue your visitor or provide value in some way, they will leave your website. Many businesses writing text for their websites focus on themselves and their business, instead of putting themselves in the shoes of their prospective customers. You’ve been to these websites, they go on and on about their products, services and qualifications, but not in a way that meets you where you are or feels relevant to your situation. Do You Feel My Pain? Put yourself in your customer’s shoes. Prior to a visitor landing on your website, they’ll often be on Google, searching for a solution to a problem they’re having. Generally their problem will be causing them discomfort, if not pain, otherwise they wouldn’t be trying to solve it. What discomfort or pain do my customers have ? What language do they use to describe their pain? When and how does this problem show up for them? Write your website text in the language your customers use, that reflects their pain or discomfort, describing a moment in their life. If you were writing the text for the website designed to sell more ibuprofen, you could discuss the features of the product: how it lasts a certain amount of time, and it comes in a bottle filled with 80 capsules is more affordable than aspirin etc. All pretty boring stuff, right? Or you could paint a picture….describe a beautiful sunny Sunday, and you’d love to go out for a run with your friends, but you can’t because your knees are hurting you again, and you’re just sick of this, and you’re gaining weight, and you’re feeling like a big lump, and your life quality has gone downhill. Writing from your customer’s perspective can create a compelling emotional reaction. Really get into the discomfort or the pain points that your future customers are suffering, try and paint a picture of a moment in time, in a day in the life of your customer. Then from there describe the transformation they can experience once they utilize what you sell. Now I’ve taken ibuprofen, and now I am limber, I can go and play with my grandkids, (if I had grandkids) and I am training for my first triathlon and I feel more confident in my body and I have a better quality of life. Wow. That is powerful stuff. That’s the difference between crappy copywriting that alienates or bores people and copywriting that engages your audience. I also would love to hear your comments in the box below. You can subscribe to my channel on YouTube for more online marketing tips, or visit my website for more information about how I help people get better results from their online marketing.